The numbers were as staggering as we feared. In May, the Congressional Budget Office estimated the American Health Care Act passed by the House of Representatives would cause 23 million Americans to lose health coverage, roll back important insurance protections, and slash Medicaid. The bill now heads to the U.S. Senate, and it’s time to take action. We urge you to contact Nebraska’s U.S. Senators and ask them to only support changing the health insurance system if it means no Nebraskan will lose their health coverage and essential protections are maintained. The 2017 Nebraska Legislative Session came to an end on May 23, concluding a session that contained several setbacks for efforts to improve opportunities for hard-working, low-income families and children. Still, a few important advancements were made to improve access to justice and opportunity for more Nebraskans. Your support and hard work, combined with some outstanding leaders in the Legislature, helped make these positive steps happen! In May, President Trump released his proposed budget, which makes historic cuts to important investments that have been proven successful at keeping millions of Americans out of poverty. The budget instead shifts funding to provide tax cuts for the wealthiest Americans and pay for a divisive border wall that separates loved ones. 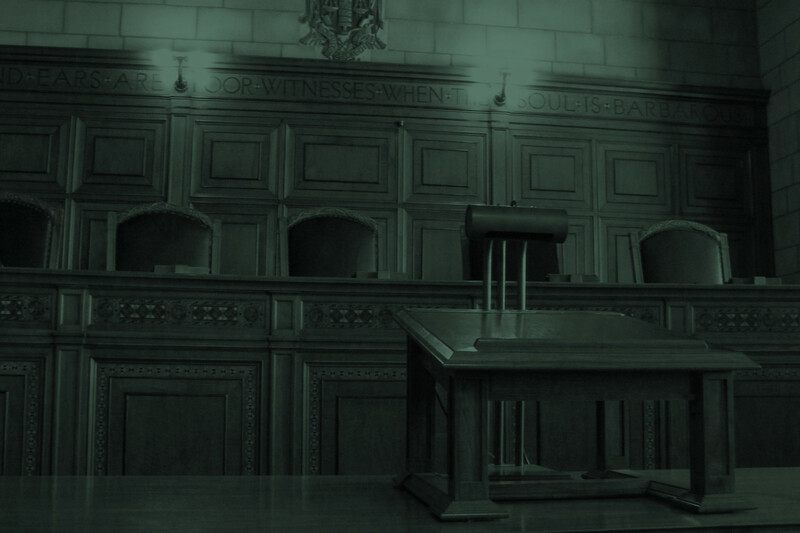 On May 11, Nebraska youth in foster care gained a big legal victory in the case of Webb v. Phillips. In the case, a Lancaster County District Court judge ruled 22-year-old college student Azar Webb and youth like him who exit Nebraska’s foster care system, have a legal right to Medicaid coverage to age 26, just like their peers who are able to stay on their parents’ insurance until age 26. Appleseed had filed the lawsuit last year on Webb’s behalf after the state unlawfully denied his eligibility for Medicaid coverage. 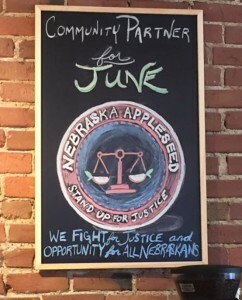 In June, Appleseed is honored to be the Community Partner of the Month at Urban Abbey, a nonprofit bookstore, coffee shop, and ministry in Omaha’s Old Market. Urban Abbey will generously donate 10 percent of their coffee sales this month to Appleseed. We are also excited to host several justice-focused events at Urban Abbey to bring community members together! Tuesday, June 13, 6:00-8:00 p.m.
Join us for an evening of story sharing and advocacy, centered around protecting health care for all Nebraskans. Wednesday, June 21, 6:00-8:00 p.m.
Join us for an update on current legislation that affects justice and opportunity in Nebraska, including a review of the 2017 Nebraska Legislative session, and what you can to do be a voice for positive change! The Woods Charitable Fund recently awarded a grant for a groundbreaking new project to raise the voices of many of Lincoln’s low-income people. As part of this project, we will be hiring a Staff Attorney to help develop legal and policy solutions to improve the lives of the working poor, protect workers rights, and improve job quality, wages, and benefits. If you or someone you know is interested in this position, you can see details and how to apply at neappleseed.org/jobs. Strengthen Appleseed’s fight for a just society.